รายงาน: Intermediary and Liability “ตัวกลางกับภาระรับผิด” : พ.ร.บ.คอมฯ ฝืนธรรมชาติเน็ต? 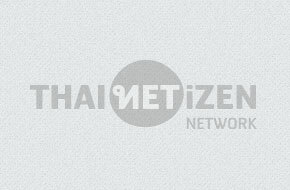 On October 17, 2010 Thai Netizen Network issued a statement calling for the amendment of Computer-related Crime Act 2007 (CCA), since before the CCA was enacted, Thai Netizen Network already began calling for an amendment to this law, as we saw that the enforcement of this law would result in depriving people’s right to freedom of expression, which is fundamental for democracy. Furthermore, this law contradicts the characteristics of the Internet in many aspects, thereby allowing abusive enforcement. However, the government has never realised and taken this issue seriously to amend this freedom-infringing law.